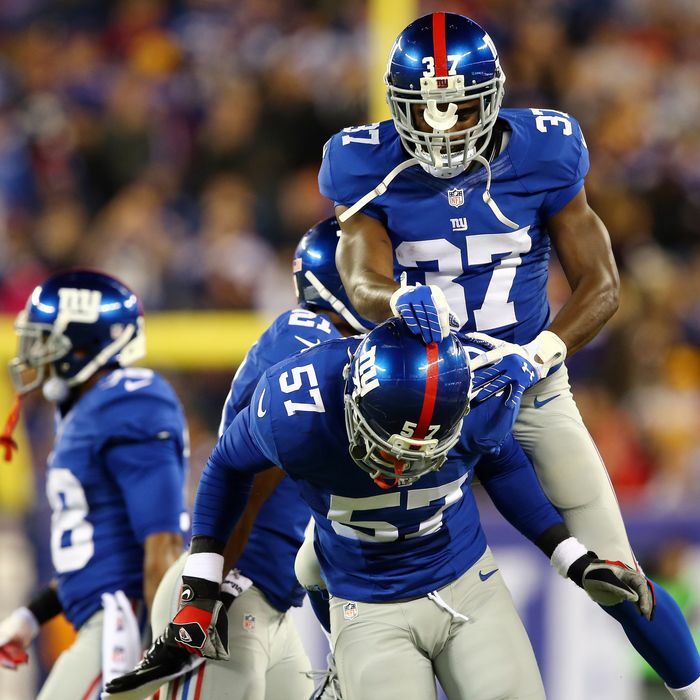 Giants Score More Points Than Opponent! No! Tackle the other team! The Giants won a game! They scored more points than the Minnesota Vikings! Mostly because the Vikings are awful! But also because the Giants were competent! Eli Manning didn’t throw an interception for the first time this season! 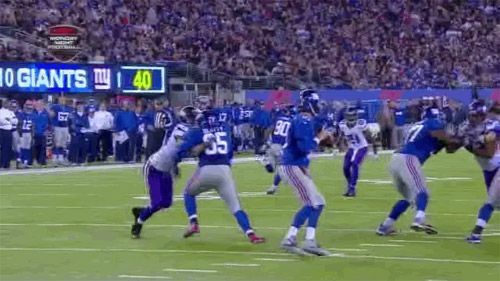 He looked like a sad little baby after this crazy one-handed “reach-around” sack, but it didn’t matter, because the Giants won a game! Now they just need to win every other game and maybe build a time machine and win some games that already happened and they’ll make the playoffs!